NEW CONSTRUCTION! NEW Construction in Mountain View. Enjoy Main Level Living with a Bonus Room and Full Unfinished Basement. 3Bedroom/2Bath. 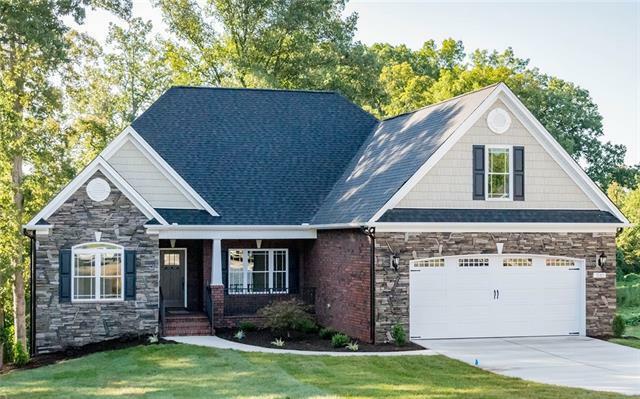 Master includes trey-ceilings, recessed lighting, large closet and attached master bath with Soaking Tub and Tiled Shower. Hardwood flooring throughout Beautiful Kitchen, Living area, and Dining Room. Dining room Features Beautiful Coffered-Ceiling detail. Kitchen includes stainless steel Appliances, Granite Countertops, and Custom Cabinetry. Open Floorplan. Spacious Living Area including cathedral ceiling and gas Fireplace. Brick Exterior with Stone and Cedar Shake accents. Outdoor Screened-in Patio area and Uncovered Area on the back Porch perfect for enjoying Private Backyard. Large Double Attached Garage! Don't miss this one!